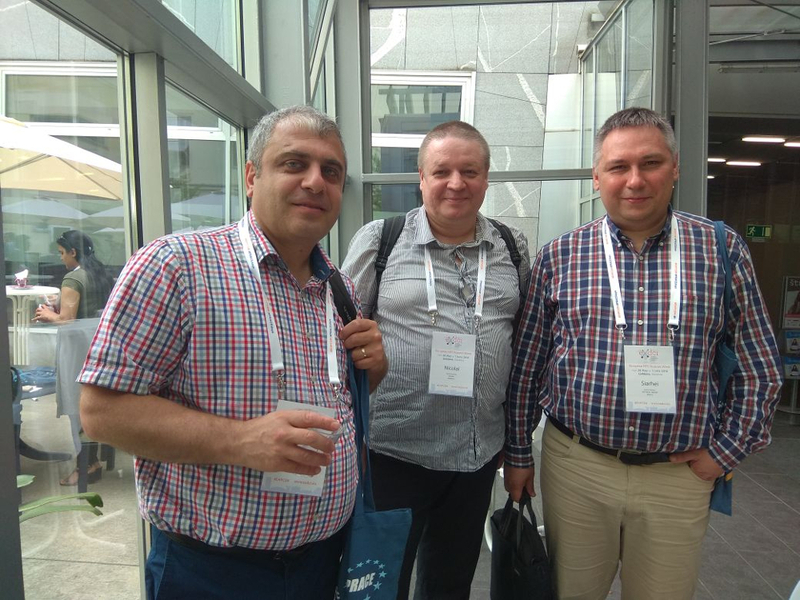 On May 28 – June 1, 2018 the European HPC Summit Week 2018 (EHPCSW18) took place in Ljubljana, Slovenia. 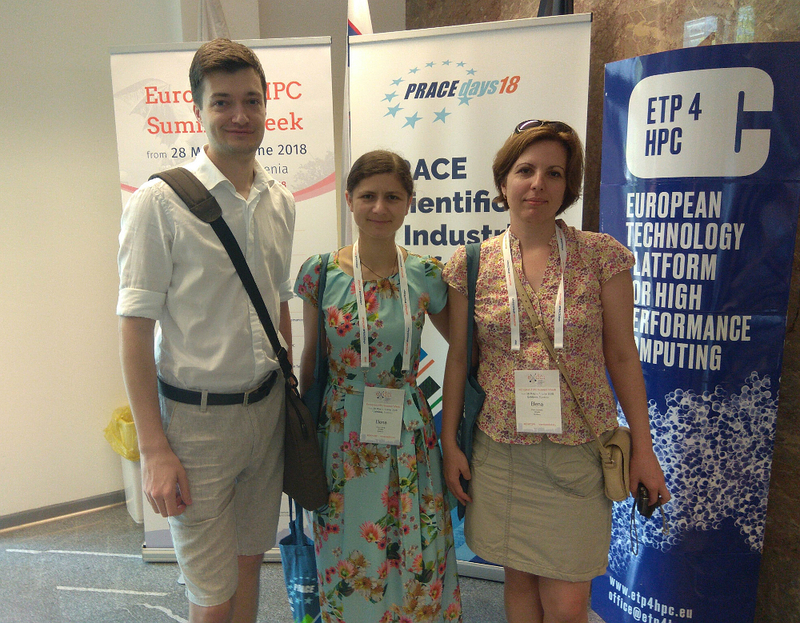 It was organized by PRACE, and hosted by PRACE’s Slovenian Member – University of Ljubljana, Faculty of Mechanical Engineering. 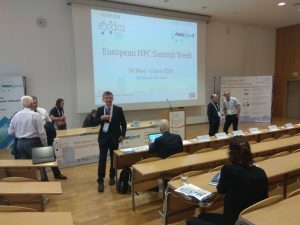 The EHPCSW18 brought together the main European HPC stakeholders, from technology suppliers and HPC infrastructures to scientific and industrial HPC users in Europe. This edition offered workshops covering a number of application areas where supercomputers are key, as well as HPC technologies and infrastructures. In the framework of the EHPCSW18 EaPConnect Project organized two workshops, where participants had possibility to deepen their knowledge in two hot topics. 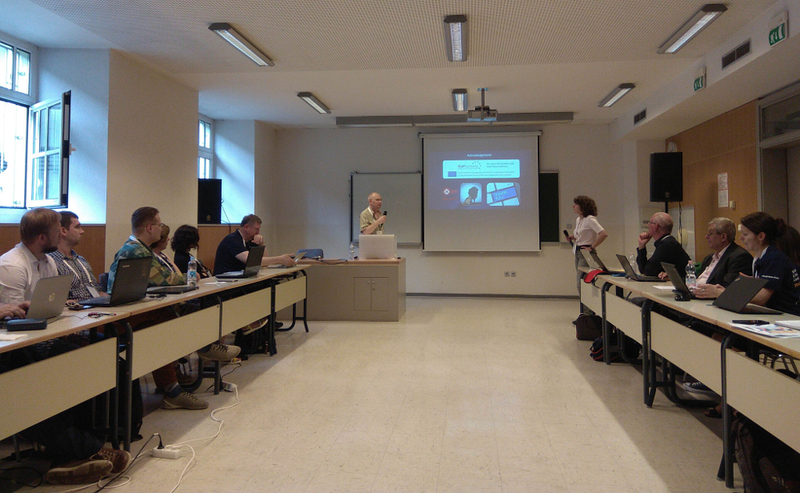 Deep Learning and Medical Data Mining Workshop gave an overview of the data mining, image classification and analysis methods, the HPC resources, technologies and tools used in the PRACE5IP/WP6 Data Analytics working group. 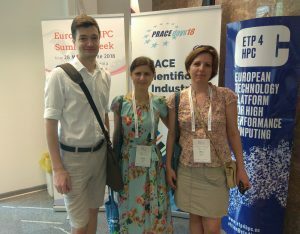 Tools which can be integrated in an HPC environment were shown and the status of the PRACE Data Analytics service was presented. HPC Virtualisation Workshop gave an overview of the Linux containers technology, installation, building and managing Docker containers, as well as singularity containers issues. Singularity MPI/GPU exercise was presented. Live-stream was organized the audience online. Wait for the recordings! The following four Moldovan researchers participated in the EHPCSW18: Dr. Elena Gutuleac, Leading Researcher at the Institute of Mathematics and Computer Science; Nicolai Iliuha, Leading Engineer at the RENAM Association; Emil Cataranciuc, PhD student at the Moldova State University and Elena Calmis, administrator of the Moldova State University HPC Cluster, Research and Education Center in Mathematics and Informatics. 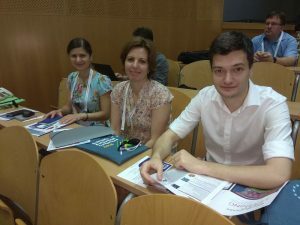 Elena Calmis is one of the winners of the EaP Enlighten Your Research Award 2017, known as EYR@EaP2017.